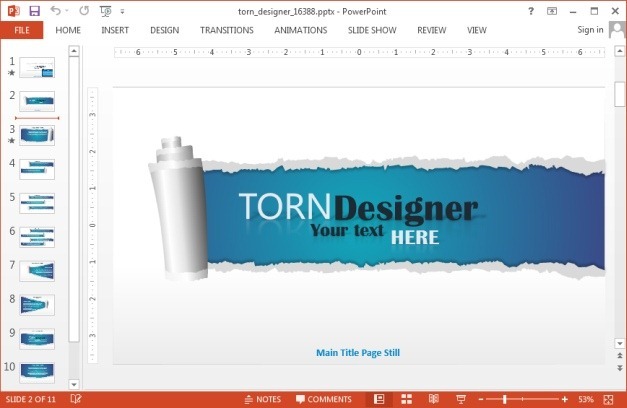 The Animated Torn Designer Template for PowerPoint is a template by Presenter Media which provides animated slides with the torn page effect. 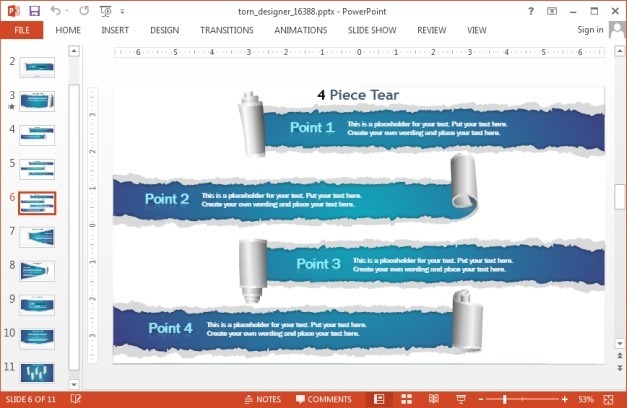 The template provides a series of torn pages and inserts with layouts that can be moulded for any presentation topic due to their generic nature. 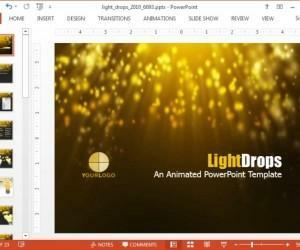 You can use this PowerPoint presentation template for anything from topics related to education, history, business to fashion, web design and development, etc. 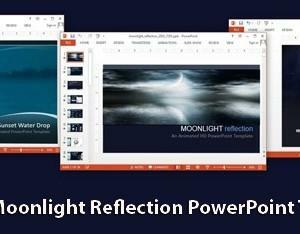 The opening slide consists of a customizable animated slide which reveals your added text to introduce your presentation topic. The slides which follow provide various layouts with variations of the torn age animation. 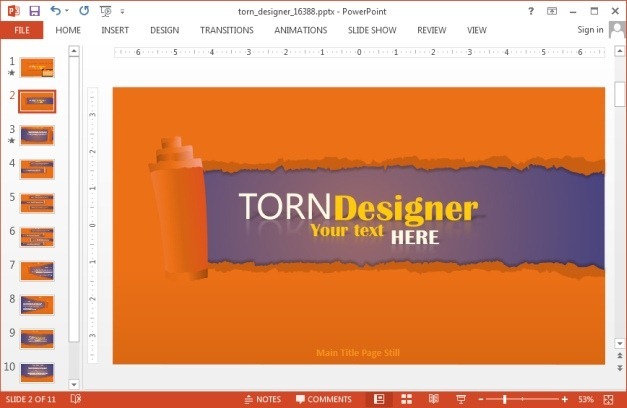 All you have to do is to add your text and images to the sample slides and when you present slides in Slide Show mode, you will see your content revealed with the torn page effect. 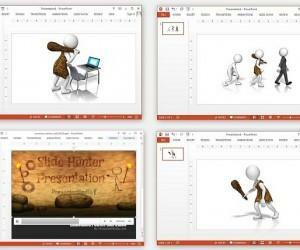 You can preview your content and its mash up with the pre-rendered animations by switching to slide show mode. This will allow you to see at a glance how your added content is blending with the animations. 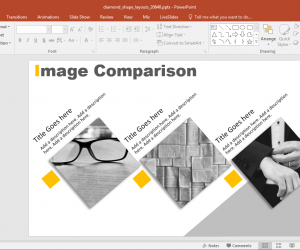 The template contains many diverse layouts using the torn page effect to help you present your text heavy slides, bullet points, comparisons, etc. 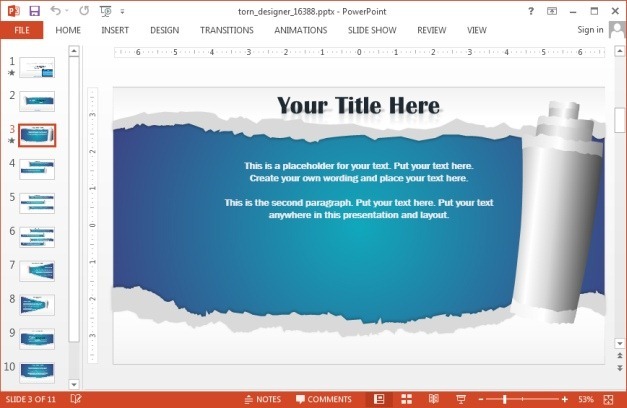 The slides come in variations of multiple torn page sections in individual slides, as well as standalone slides with a single torn page depicted to reveal text-heavy content. You can customize the look of the available slides, e.g. 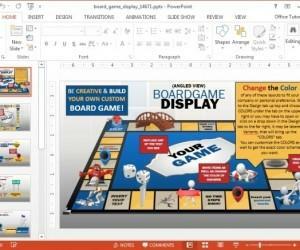 by changing the default color of the slides to match your company logo or presentation topic. 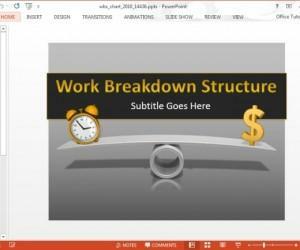 You can perform color related changes via the Design tab in PowerPoint.